Climate denier Art Robinson loses in Oregon. Again. The big story, it seems -- regardless of who wins, tonight -- is the changing demographics of the electorate, especially from whites to Latinos. The Republican consultant on MSNBC says GW Bush won 40% of the Latino vote in 2000, and Romney is going to get in the high 20s.... GHW Bush won 400 electoral votes with 61% of the white vote in 1988, and Romney is going to win in the low-to-mid 200s with the same percentage. You gotta think this worry is somewhere deep in the conservative brain stem, and they are going to scream and flail trying to come to grips with it. The beatings will continue until morale improves. It won't be pretty. a "prompt scientific inquiry" into the causes of an increase in the cost of living. expenditures on public programs such as flood control, irrigation. Then I remembered that this morning when I woke up NPR had a story about flooding in Norfolk, Virginia, which has been increasing in recent years, partly due to the sea level rise hot spot along the east coast. They're already spending millions a year to improve drainage, raise roads, etc. One city official estimated it would cost a billion dollars to build a seawall to protect the city, for which, of course, they would need huge state and federal assistance. People will pay for climate change one way or another. It's too bad they can't just build the seawalls out of coal, and solve the problem from both directions. My drive was only a couple of minutes, so I was able to avoid going insane. As you can see, I try to listen to all sides. 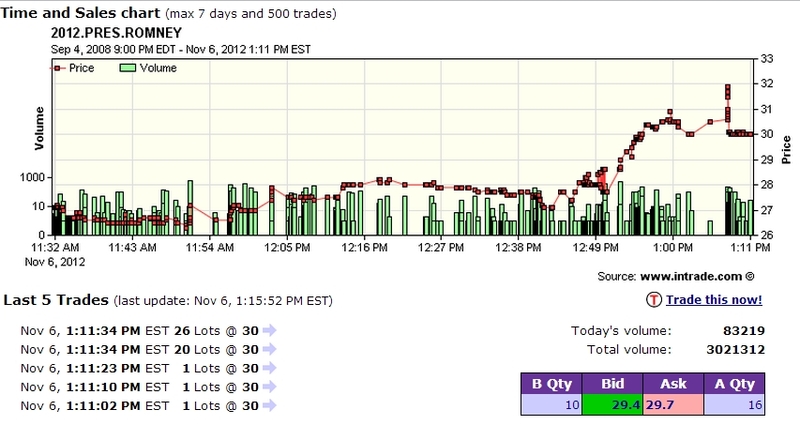 The best way to follow election day may be via Intrade, where traders buy and sells shares on a Obama or Romney victory. While it's unlikely most traders there have real inside information (but some might), many are no doubt glued to media and trading quickly on any news and rumors. This link can be set up to autorefresh. Oregon votes by mail, and personally I miss going to a polling booth. It was one day, at least, where you definitely felt like part of a community, part of the country, part of something happening. In New Hampshire it was especially fun, because (especially for the primary) there were often TV cameras out front and people doing exit polling (I always declined). It's time to spread the primary love around the country (and yes, I felt that way when I lived in NH). Also, it's time to end the electoral college. Obama will surely win Oregon, so my vote (if it were for him) would hardly count. Lisa Friedman of Climatewire has an excellent story on The Times Web site digging in on an issue I’ve touched on periodically here — the prospect of intensifying fights over whatever money might flow someday to poor countries exposed to risks thought to be amplified by human-driven global warming. Is it worse to be swallowed by the sea or racked by famine? As climate change tightens its grip on the world, institutions charged with protecting the most vulnerable nations could be faced with just such a question. Because there is no international consensus for ranking the possibilities of future devastation — and because there are limited dollars lined up to help cope with climate change — some countries already are battling over who will be considered most vulnerable. “This is a major, major topic of discussion and debate at the moment,” said Saleem Huq, head of the climate change group at the U.K.-based International Institute for Environment and Development. Judging who is most threatened has real-world implications. Those at the top of the list — if ever such a list is developed and agreed upon internationally — could decide who is first in line to tap a multibillion-dollar Green Climate Fund. Arguments just within the U.S. over who gets compensated by whom, and for what, are going to be bad enough. Internationally they're going to be an immense climate clusterf*ck. This is a great time to be a student starting a career in international law. "This may be that sort of Cuyahoga River moment for climate change," said Michael Mann, a leading climate scientist and Penn State University professor. "It has galvanized attention to this issue and the role that climate change may be playing with regard to the intensification of extreme weather." Explanation here, if you don't know about the infamous Cuyahoga River. Or, to put it another way: Lyrics here. "The facts of the matter are this: the planet's climate has changed over the last 30 years, chiefly because of human activities. This will impact the weather - in the trivial sense that the specific weather we are having is not the same as the weather that we would have had without human actions, but also in the non-trivial sense that probabilities of various outcomes will shift - sometimes towards more extremes and sometimes towards less. We have a great deal of difficulty characterizing these changes because of insufficient observations (not enough 100 year periods to properly estimate 100 year events), insufficient attention to extremes in modeling and theory, inaccessibility of model results for extremes, and the basic statistical difficulty in attributing infrequent occurrences. "Nonetheless, the data are good enough to say some things about certain kinds of extremes (heat waves, rainfall intensity (both going up), cold snaps (going down) etc.). In far more cases however, the studies simply have not been done, or the data are simply not good enough to say much, and pundits are tending to extrapolate. That is something most scientists are loath to do." For researchers, he adds, tracing the role of global warming in extreme weather presents an intriguing problem. "However, the portrayal of this nuanced field in public as either proving that global warming is bad, or that scientists are alarmists, is a travesty. The impact on extremes from human emissions is one of a myriad reasons why we probably don't want to continue to mess with the planetary energy balance." "There's really no such thing as natural weather anymore," says climate scientist Donald Wuebbles of the University of Illinois, who was not involved with the report, but said he largely agreed with its conclusions. "Anything that takes place today in the weather system has been affected by the changes we've made to the climate system. That's just the background situation and it's good for people to know that," Wuebbles says. Although scientists cannot immediately tie what percentage of an extreme weather event relies on global warming to make it more severe, he says. "It's always a factor in today's world." I guess they are trying to gin up a few donations for their legal fund. I still think "Nobel Contributor" has just the right ring to it. Andrew Revkin sent along some links to his previous coverage of the "blame-ologists": Hurricane Irene, Colorado fires, Texas fires. This piece by him is from 2006. Geoenginnering, when and if it occurs, will double this problem -- there will be those who say that a geoengineering scheme reduced their rainfall, altered their monsoon, dimmed their land. At the same time there will be demands from those seeking protection from manmade climate change. These future arguments will no doubt make today's arguments look like childhood squabbles, played out in courts, international bodies, and between countries with nasty weapons and large armies. So, again, being careful about cause-and-effect is crucial (and responsible). 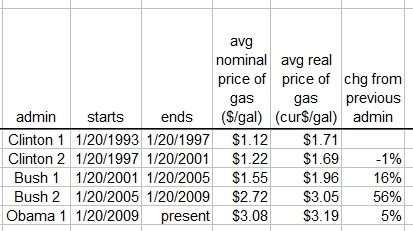 If everything is due to climate change, then in a sense nothing is, because economics as currently understood has no way to price the cost of every weather event in existence. "If your mountain is not in the right place, drop us a card." Teller certainly knew how to get attention. The notion that it and the flooding and destruction was caused by climate change, that it's a binary situation and this, or something very much like it, wouldn't have happened if climate change wasn't occurring. Andrew Revkin put it well on Science Friday yesterday, and it's worth a listen. The situation we're now in where every extreme weather event being somehow due to climate change. They are not -- hurricanes, floods, and fires have happened through history, some of them devastating. (Even drowned animals -- see below). Politico: "'This is an absolutely unprecedented storm,' McKibben said." Climate Progress: "Hurricane Isaac Caps Off America’s Summer of Extreme Weather"
Brad Johnson, Think Progress: June 2012: "Obama announces an “all-hands-on-deck” response in his weekly address to the nation from Colorado Springs, after visiting the devastating wildfires, but does not mention the role climate change had in fueling the fires, including higher temperatures, more intense drought, and bark beetle infestations." Steve Perlberg, Think Progress: "Western wildfires, record-setting temperatures, devastating floods, and other extreme weather made more extreme by global warming have welcomed us to summer 2012..... Zoo Animals Drowned in Minnesota Floods"
The Daily Beast: "Hurricane Irene’s dangerous power can be traced to global warming says Bill McKibben—and Obama is at fault for his failed leadership on the environment." Associated Press: "Warm water, especially more than 80 degrees, fuels hurricanes. As a storm heads north, usually the water is cooler and the hurricane quickly runs out of steam. But not this time.... With global warming, water is likely to be warmer farther north than it is was [sic] for the past century,” Borenstein adds." Brad Johnson, Think Progress: "Global Boiling: Hurricane Ike Part Of New Era Of More Destructive Storms"
In ages past, men and women kept foretelling the End of the World. Calamity seemed never farther than the next earthquake or failed harvest. And each dire happening, from tempest to barbarian invasion, was explained as wrathful punishment from Heaven. Eventually, humanity began accepting more of the credit, or blame, for impending Armageddon. Between the World Wars, for instance, novelists prophesied annihilation by poison gas. Later it was assumed we'd blow ourselves to hell with nuclear weapons. Horrible new diseases and other biological scourges terrified populations during the Helvetian struggle. And between wars, of course, our burgeoning human population fostered countless dread specters of mass starvation. Apocalypses, apparently, are subject to fashion like everything else. What terrifies one generation can seem obsolete and trivial to the next. I am not saying climate change will come to be seen as obsolete and trivial. Just the opposite -- it's a potential calamity of a unique order, though we're in the beginning of it -- it's the projections which are scary, which is why so many scientists are so deeply concerned about it in a different sense than any previous threat (even nuclear war -- that would be a decision based on political and diplomatic failures; climate change is due simply to how we live). But it can become an hysteria too, while now might be happening, thanks to pushy activists like those above who are using it for their particular purposes. Even though many of them no doubt think we should be getting hysterical, blaming everything on climate change is as misleading as ignoring or denying it completely. More importantly, it's ineffective, not least because it ruins your credibility. But clearly some activists have calculated that their PR message is worth the risk to their trustworthiness. "They are emboldened because researchers have gotten very good in the past decade at determining what affects the variables that create big storms. Hurricane Sandy got large because it wandered north along the U.S. coast, where ocean water is still warm this time of year, pumping energy into the swirling system. But it got even larger when a cold Jet Stream made a sharp dip southward from Canada down into the eastern U.S. The cold air, positioned against warm Atlantic air, added energy to the atmosphere and therefore to Sandy, just as it moved into that region, expanding the storm even further. "Here’s where climate change comes in. The atmospheric pattern that sent the Jet Stream south is colloquially known as a “blocking high”—a big pressure center stuck over the very northern Atlantic Ocean and southern Arctic Ocean. And what led to that? A climate phenomenon called the North Atlantic Oscillation (NAO)—essentially, the state of atmospheric pressure in that region. This state can be positive or negative, and it had changed from positive to negative two weeks before Sandy arrived. The climate kicker? Recent research by Charles Greene at Cornell University and other climate scientists has shown that as more Arctic sea ice melts in the summer—because of global warming—the NAO is more likely to be negative during the autumn and winter. A negative NAO makes the Jet Stream more likely to move in a big, wavy pattern across the U.S., Canada and the Atlantic, causing the kind of big southward dip that occurred during Sandy." I am really skeptical about these kinds of chained arguments about very complex systems -- it seems to me you can string a few such ideas together to prove anything, and the systems are so complex no one can prove you wrong (or right). Here's an example. And where was this argument in any of the recent years when no major hurricanes hit the U.S.? These kind of arguments only get made after a storm, never before them. 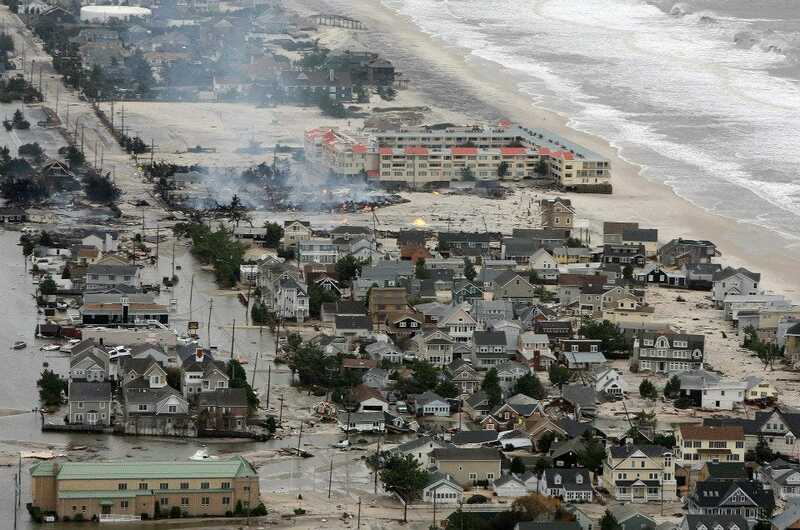 "Was the bizarre storm called Sandy a product, in whole or in part, of human-induced climate change? ...The first thing to say is that climate scientists are just not in a good position to answer it yet. Some of them are already offering preliminary speculations, true, but a detailed understanding of the anatomy and causes of the storm will take months, at least. In past major climate events, like the Russian heat wave and Pakistani floods of 2010, thorough analysis has taken years — and still failed to produce unanimity about the causes." "Kevin E. Trenberth, a scientist with the National Center for Atmospheric Research in Boulder, Colo., said that natural variability very likely accounted for the bulk of that temperature extreme. And many of Sandy’s odd features derived from its origin as a “hybrid” storm — a merger of several weather systems, including a hurricane and a midlatitude storm that had earlier dumped snow in Colorado. “My view is that a lot of this is chance,” Dr. Trenberth said. “It relates to weather, and the juxtaposition of weather systems. A hybrid storm is certainly one which is always in the cards and it’s one we’ve always worried about.” "But, he added, human-induced global warming has been raising the overall temperature of the surface ocean, by about one degree Fahrenheit since the 1970s. So global warming very likely contributed a notable fraction of the energy on which the storm thrived — perhaps as much as 10 percent, he said." It's just not possible to look at one storm and envision that 10%, given the wide distribution in storm strengths (which I'm guessing is a normal distribution). You couldn't do it with a storm that is 10% less than average strength, either. I'm certainly open to the idea that someday -- perhaps in a couple of decades, perhaps a little sooner -- scientists will be able to say, a month or two weeks before a major hurricane, that models show conditions are primed for a major hurricane in a certain region, due to anomalously warm SSTs and a blocking pattern set up by melting ice, and that coastal states should put their citizens and disaster agencies on notice. (Whether they would do so if the Italian's crybaby retribution goes worldwide is another matter.) Predictions that come true make believers out of nearly everyone. After seeing these aerial photographs of the Jersey shore, I need to revise my thinking a bit. As I wrote on Tuesday, "storms happen," but clearly this was an historically notable storm. When I worked for Bell Labs I lived on the shore -- a winter rental in Belmar, a girlfriend in Ocean Grove, and spent a lot of time at Seaside Heights, Stone Harbor, and elsewhere -- so it's easy to see the lives in these pictures, even if they're taken from a helicopter. But big storms happen, too. 1972's Hurricane Agnes caused 128 fatalities and $2.1 billion in damages (in 1972 dollars). In current dollars that's $11.7 B. 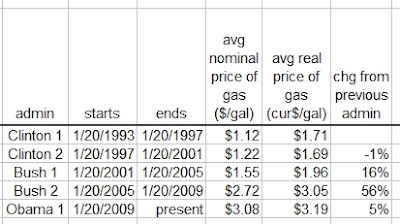 A Wikipedia article says Sandy is the second-costliest Atlantic storm, at $55 B, but when adjusted for wealth and population (as per Roger Pielke Jr), there are several that would appear to be higher (Sandy isn't (yet) on that list). Roger blogged it will likely be in the top ten. So you have to use statistical trends. And I don't see that they're there -- not for global hurricane frequency, or global accumulated cyclone energy (ACE), or global power dissipation index. Restricting one's view to the North Atlantic does show a trend, especially in ACE and tropical storms and major hurricanes. But then you have to explain why it's happening in the North Atlantic but not elsewhere on the globe, and why it's not natural. Plus, the North Atlantic ocean is bordered by the world's biggest media markets, and Sandy just plowed into the biggest media market of them all. ...there remains far too much natural variability in the frequency and potency of rare and powerful storms — on time scales from decades to centuries – to go beyond pointing to this event being consistent with what’s projected on a human-heated planet. As some scientists are trying to point out, climate change doesn't cause one thing or another, it augments what's already happening (at least, prior to an abrupt shift, which hasn't not happened (yet)). So the correct way to think about it is that all events now have a little AGW mixed in, which will be apparent as shifts in their bell curve -- but again, that's statistical, not individual. Besides, while storms are spectacular and memorable, and can have an immediate impact on a region, I still think storms are a good way down the list of reasons to be worried about AGW. At top are (IMHO) declines in snowpacks and water supplies, droughts, and shifts in agriculture. Those will devastate entire regions far harder and more permanently than will any hurricane.